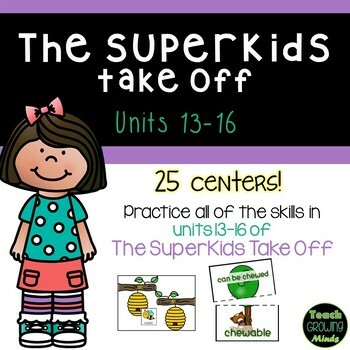 These centers are made to go along with the SuperKids Reading Program, SuperKids Hit Second Grade. 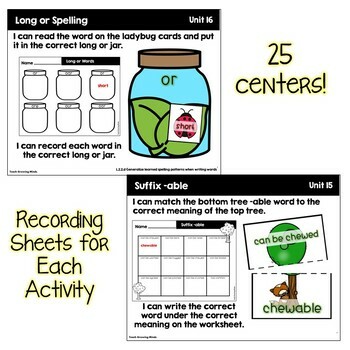 There are over 25 centers! 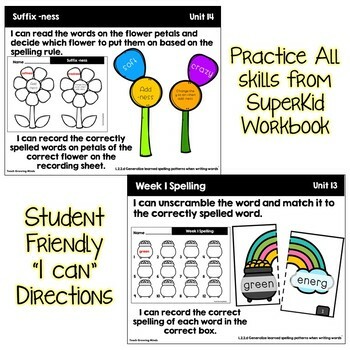 Each center will help students practice grammar, phonics, spelling, and writing skills taught in all lessons taught in units 13-16.